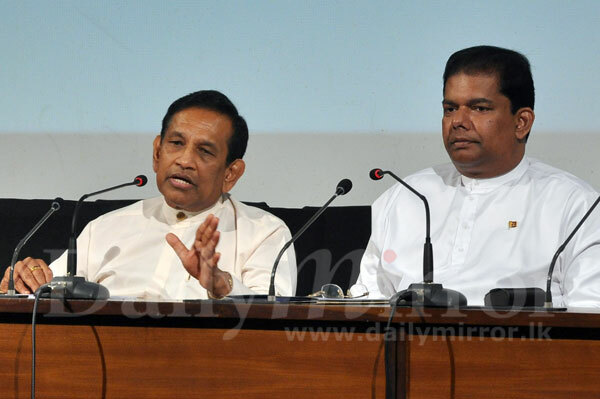 If the SLFP Ministers of the Yahapalana Government propose to the other coalition partner UNP to effect drastic changes in the Government including the replacement of Prime Minister Ranil Wickremesinghe, before April 4, the UNP was ready to consider them positively, Cabinet Spokesman Dr Rajitha Senaratne said. In response to a question raised by the Daily Mirror at the weekly cabinet news briefing yesterday on the remarks made by Minister S.B. Dissanayake on Wednesday to the media that the No-Confidence Motion was not against President Maithripala Sirisena or the Government but to remove Prime Minister Wickremesinghe from his post, Minister Senaratne said they must not discuss those issues first with the media but with the UNP. He added a dialogue between the SLFP and the UNP Ministers was possible before April 4- the day the No-Confidence Motion is taken up for debate in Parliament. 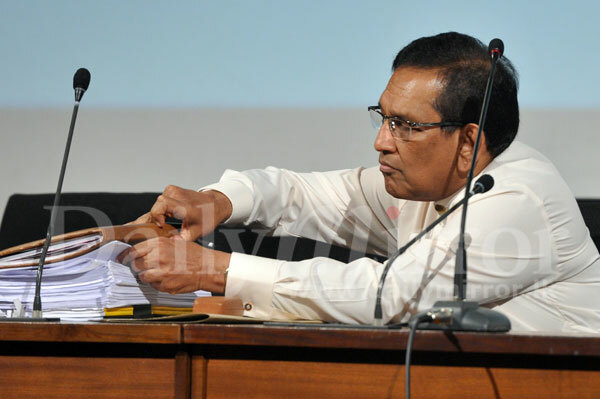 “If we could settle the issue in this way before April 4, I think it is the most appropriate way to resolve this issue, Minister Senaratne stressed. The dialogue between journalists and Ministers Senaratne and Gayantha Karunatilaka as follows. Journalist: Your name has been mentioned as the new Prime Minister. Are you ready? Minister Senaratne: Smiling, no no. There is time for me to take up that position. Journalist: The main issue is that they all want to remove Mr Wickremesinghe from the Premiership. How are you going to face this? Minister Senaratne: The UNP Working Committee is to meet tomorrow (29) at 4.00 p.m. at the Temple Trees to determine how to face the No-Confidence Motion. Journalistr: Minister Dissanayake says that the No-Confidence Motion is only against Prime Minister and not against the Government or the President as they could not oppose most of the allegations against Mr Wickremesinghe. Minister Senaratne: They must not tell these things to media. Journalist: Are you ready to discuss the contents of the No-Confidence Motion including the removal of the Prime Minister before April 4? Minister Senaratne: Yes indeed. We are ready and steady in the journey forward of the Yahapalana Government as a coalition. Journalist: Did the UNP Parliamentary Group make a request yesterday to Mr Wickremesinghe to step down at a Sirikotha meeting? Minister Senaratne: They are being reviewed. Journalist: But, we cannot see any progress but only delaying tactics. Minister Karunatilaka: There will be drastic changes in the party before long based on the proposals made by the three committees appointed by Mr Prime Minister and proposals made by Minister Ranawaka. Journalist: Including the removal of Prime Minister? Minister Karunatilaka: Including changes in the party leadership. Journalist: State Minister Range Bandara says that 23 UNP members were going to vote for the motion and don’t you think the situation for the UNP is precarious? Minister Karunatilaka: Yes, if 23 UNP members vote in support of the motion. But that is their assessment. 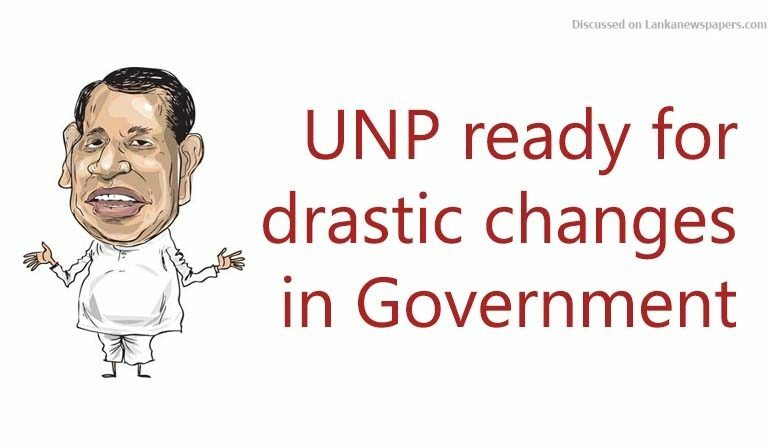 A Journalist: What if the UNP could not defeat the No-Confidence Motion? Minister Karunatilaka: We will have to form a one-party government and we are ready for that. Journalist: Most of the allegations in the motion involve Central Bank bond scam. Minister Senaratne: I opposed it from the very beginning for the appointment of Arjuna Mahendran as the CB Governor. Journalist: It is the responsibility of Prime Minister Wickremesinghe to bring him back as Mahendran is evading courts and no one knows whereabouts of him. Minister Senaratne: Please look at those issues rationally. Tell me whether you must take the responsibility if your friend does an illegal thing. Journalist: But Mr Mahendran was handpicked by Prime Minister and when he left for Singapore during the CoI inquiry proceedings, Mr Wickremesinghe vouched that he would come back. Two suspects wanted in Sri Lanka, Udayanga Weeratunga and Mahendran are evading arrest. Journalist: When the Mr Mahendran will be arrested and bring back to Sri Lanka? Minister Senaratne: Don’t treat both on the same line. Even the commission report says that Mahendran was the best CB Governor chosen for the post for the last 10 years. Besides, if there is any financial loss to the Government from the bond scam there is enough money to settle them in the suspended accounts of the Perpetual Treasuries Ltd. Journalist: Don’t you think Mr Wickremesinghe has a responsibility to bring him back?